Is My Landlord Lying To Tenants And Claiming They Don’t Have Rent Control? My wife and I (both in our 60s) rent a one bedroom apartment in a 12-unit building in lower Russian Hill, built in the 20’s. We have rented for 30 + years. When we first moved in (in the early 80’s) the Landlord was in the process of converting the building to condos and asked if we were interested in buying. We said yes, he proceeded with the condo conversion, and put them on the market for a couple of months. He didn’t sell enough units (my understanding was that he was required to sell more than half, or at least 7), so he took the condos off the market and has been renting them ever since. They are currently recorded with the Assessor as 12 separate condos, all owned by him. We continue to rent the same unit and the landlord has complied with SF Rent Control Laws for our unit and for one other long-term tenant. Most of the units (10 out of 12), however, are being rented out with the understanding that, because they are condos, they are exempt from rent control (even though they are still owned by the original landlord and subdivider). 1- My understanding is that the condo exemption under the Costa-Hawkins law does not apply to condos that have not been legitimately sold by the original subdivider. Is the Landlord violating the SF Rent Ordinance when he tells new tenants that the units are exempt? (Most of the affected tenants have been there for 5-10 years or less). 2- The landlord has recently begun doing significant work on four units, no doubt in response to the hot rental market (the building is generally well-maintained). This work is all being done without permits and there are a number of issues that are not code compliant (I am an Architect by profession). I have not mentioned anything about this to the Landlord or to DBI (I have taken some photos). Before we do anything drastic, we thought we should get a better understanding of our status with respect to the Ellis Act, or any other precedents that could put our tenancy in jeopardy – for example, could the landlord try to sell our unit out from under us? I am sure the landlord would like us to move, although we generally have a civil relationship. Were we to file a complaint, that might change. If none of the condos in your building have been sold to new buyers, none of them are exempt from rent control. The Costa Hawkins Rental Housing Act (which should be repealed) exempts “a condominium dwelling or unit that has not been sold separately by the subdivider to a bona fide purchaser for value” from its prohibition on rent control for single family dwellings. (Ca. Civil Code §1954.52(3)(B)(ii)). Of course, your pre-1996 tenancy would also be exempt if you were renting any single-family dwelling built before 1979 in San Francisco. Your landlord is simply lying to his newer tenants and if they have been paying illegal rent increases, they should file petitions alleging illegal rent increases at the San Francisco Rent Board. Certainly, the landlord can sell the unit in which you reside. A new owner could also evict you using an owner move-in eviction. Even though your wife and you are over 60 years of age and have resided in the unit for over 10 years, the OMI protections do not apply to you because the unit is a condo. Interestingly, the protections would apply if the landlord himself wanted to move in and evict you because he owns more than one unit in the building. All of this is covered in Rent Ordinance §37.9(i). As you may know, I try to give my readers practical, functional advice that doesn’t always recommend asserting each and every right one may have. I do so because I know that landlords take their titles of nobility seriously. As long as tenants are ignorant or their rights or choose not to assert them, everything is fine. But when a tenant complains about conditions in a unit, illegal construction, illegal rent increases…anything really…landlords retaliate. 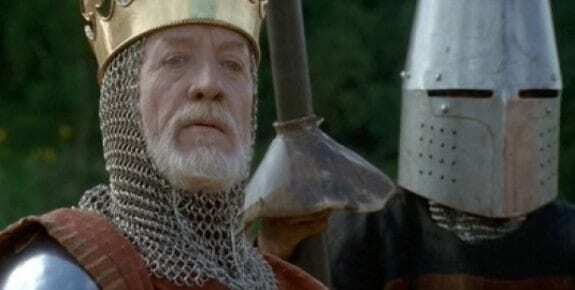 They channel their inner alter ego, Edward I (Longshanks), as played by Patrick MacGoohan in the film, Braveheart. Just substitute Scots for tenants and understand that 600 years ago the vast majority of Scots were tenant farmers or serfs. Yes, your relationship with your landlord will change if you complain about the illegal construction in the building. The next time you see him he will have donned his crown, his tights and his cod piece. It is understandable if you choose not to report the unpermitted work. But we have building codes for a reason. Do you have a duty to others who rent and or eventually buy the illegally remodeled units. Do you have a duty to yourselves or other tenants in the building who could suffer if the construction is unsafe? It’s your choice.